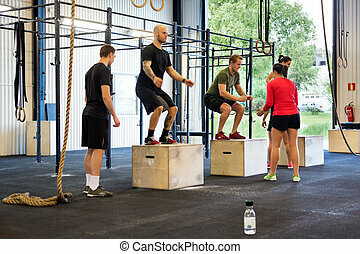 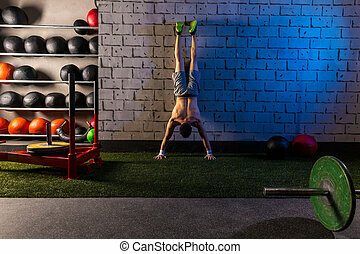 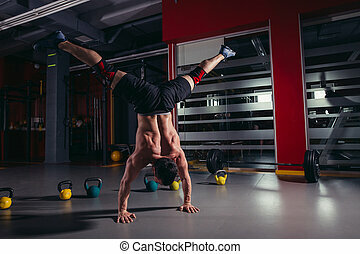 Handstand push-up group workout at gym. 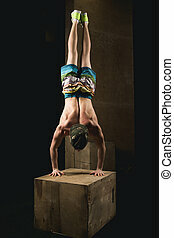 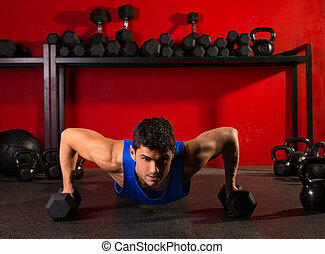 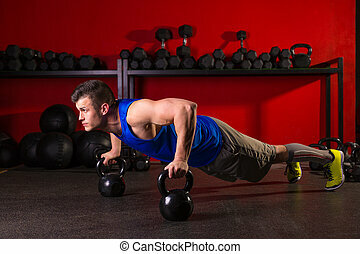 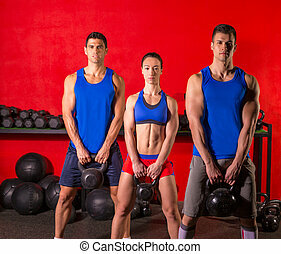 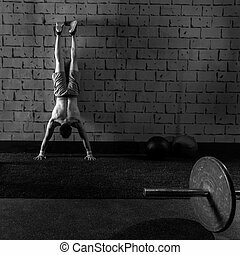 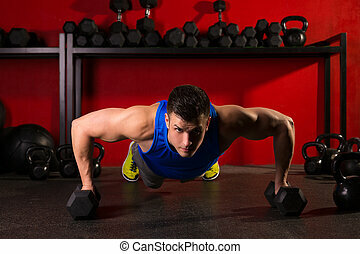 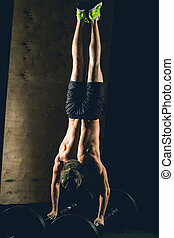 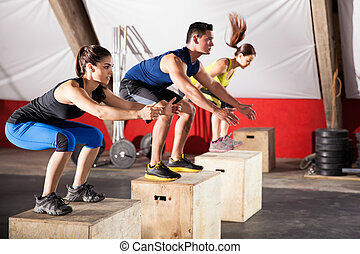 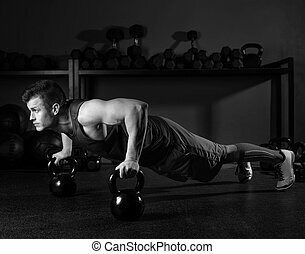 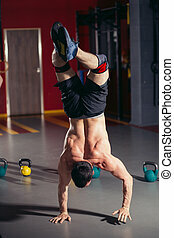 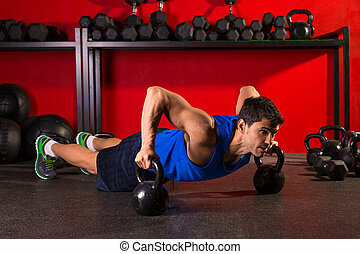 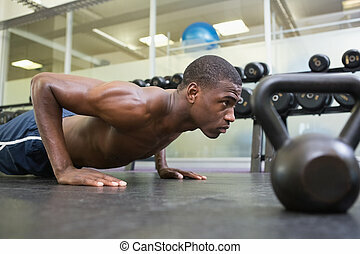 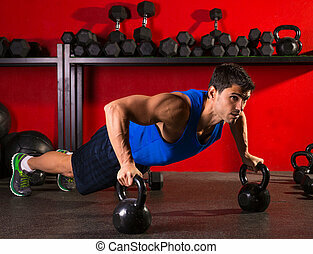 Handstand push-up group pushups workout top position at gym. 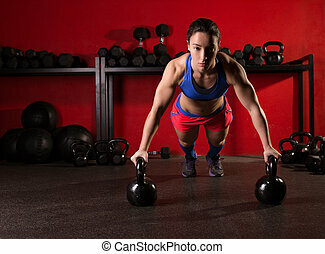 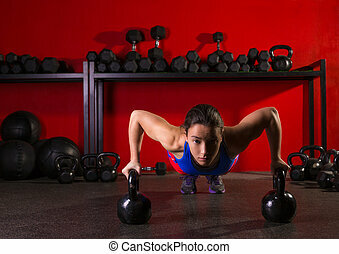 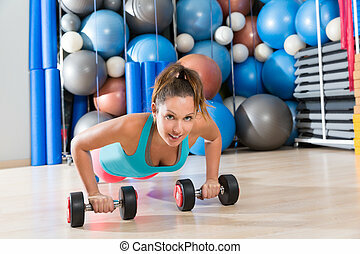 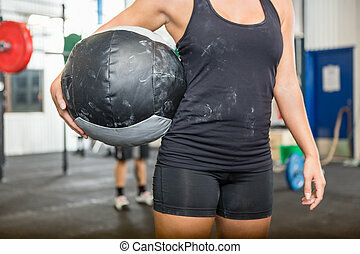 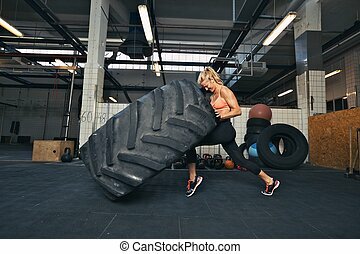 Fit female athlete working out with a huge tire, turning and flipping in the gym. 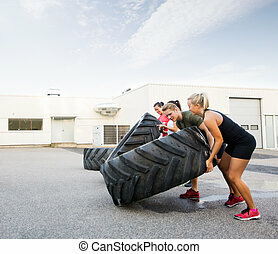 Crossfit woman exercising with big tire.